212 Perfume by Carolina Herrera, A long-lasting, off-beat, light floral fragrance with musk undertones. Personifies today’s playfully hip, modern cinderella. For an exciting fragrance experience that wraps the wearer in an intrigue.All products are original, authentic name brands. We do not sell knockoffs or imitations. ?My original idea had been to design a few fabrics. Diana (a family friend) said: ?Are you sure, because clothes would be much more fun?. Encouraged by her mentor, she had 20 dresses run up by her dressmaker, and moved ? with her second husband,Renaldo Herrera, and their daughters ? to New York, although they?ve shuttled back and forth ever since. ?At first they thought I was a dilettante and I?d be gone in three seasons.? And here she still is. 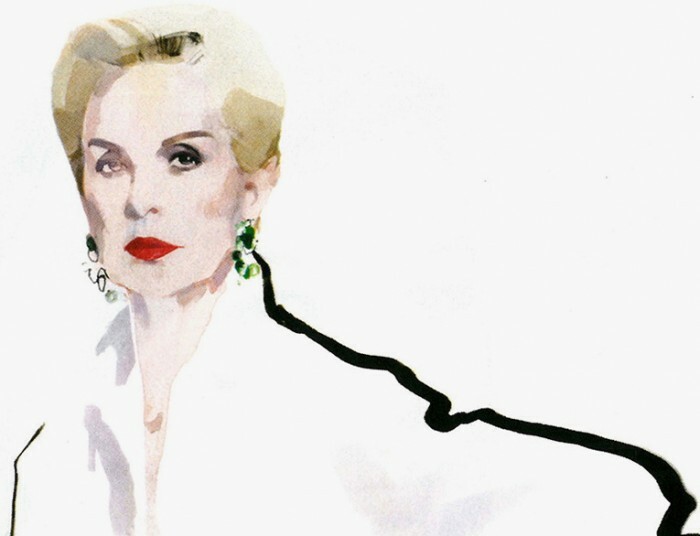 What?s more,Carolina Herrera(pictured here in a wonderful illustration byDavid Downton) has since received countless honours from the industry ? including the CFDA Womenswear Designer of the Year and an honorary Doctorate of Fine Arts from the Fashion Institute of Technology in 2012. Born into an old Venezuelan family who?d lived in that country for 400 years,Carolina Herreragrew up in Caracas in the 50s and 60s. As she?s been quoted as saying, ?Everyone was very, very chic. You either went to Paris for your clothes, or you had them made in Caracas. And I would like women to feel they could be glamorous and elegant.? Carolina Herreracould equally have been talking about her fragrances, there: a hugely successful portfolio of scents loved by all ages. Her debut signature scent launched in 1988, with a men?s scent in 1991. And in 1996, it was the turn of anotherCarolina Herrera? the designer?s daughter ? to step into the picture:Carolina Herrera de Bezjoined as Creative Director at the fragrance house. She grew up in La Vega, the Herrera family estate built in 1590 just outside Caracas.Originally,Carolina Jr.wanted to become a doctor, studying sciences at Vassar. When she realised lab work wasn?t her thing, Carolina spent several years in the film and audiovisual industries. She also opened a boutique showcasing clothing from new designers, and launched her own line of jewellery which she made by hand herself. But in 1997, chatting to her mother,Carolina Jr.had the idea of helping her to launch a new perfume. ?It required evoking the spirit of New York, a spirit I missed so much that I thought it would be a great idea to translate that world I adored, and that I often longed for, into a language of aromas? to capture it in an evocative fragrance that would let you bring a whole world of sensations around with you in your bag, and bring you closer to the Big Apple, no matter how far away you were.? And so212was born. The first fragrance was launched in 1997 and has enjoyed massive global success. Many perfumed ?plays? on212have since been released, often as seasonal editions, to be quickly snapped up by fans and new ?converts?. Developing each fragrance takes more than two years,Carolina Jr.explains. ?It?s a process of constant inspiration and evolution. Feelings and instinct help, but to really make the product work, you have to fuse all the aspects: the name, the flask, the concept, the fragrance and even the publicity. When I work, I have to really establish what I like and what appeals to me. And I begin to contemplate and mentally organise everything I know, from a colour to a material. Then all that information starts to flow throughout all the different aspects of the process. The most important things are my memory, my eyes and nose, my imagination ? and an excellent creative team.? Carolina Jr.has now been the force behind almost a dozen212andCarolina Herreralaunches. She clearly loves creating alongside her mother: ?It?s really easy to work with her. We don?t have exactly the same taste in everything, but we?re not opposites, either. We complement each other very well. ?Clickherefor a wonderful interview with the twoCarolina Herrerasabout the 25th anniversary of the launch of the jasmine-rich debut signature fragrance. As Carolina (the mother) says in this short film, ?For me, to wear a perfume is the most important invisible accessory that a woman can have. And the most important, for me, for the success of a perfume is what is in the bottle: 80% is the ?juice?. ?As anyone who unstoppers a bottle ofCarolina Herreraor212fragrances can surely tell?